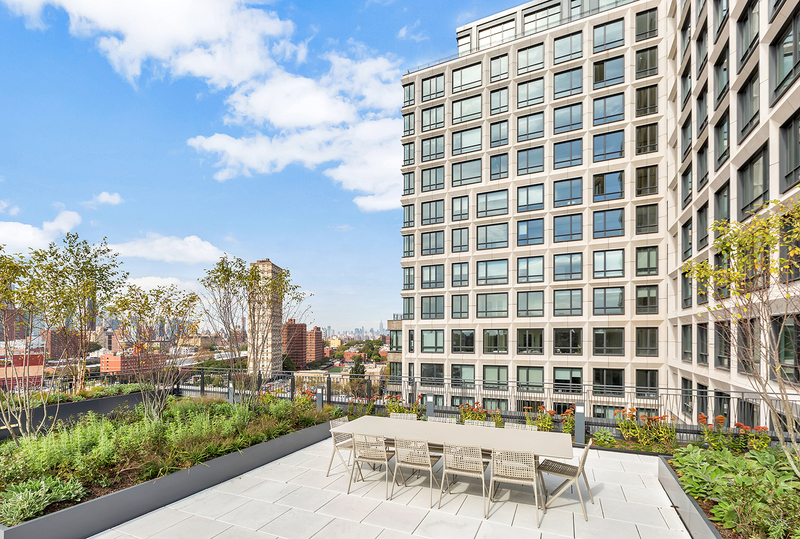 A well-laid-out large one-bedroom is now available for rent in 550 Vanderbilt. Unit 1418 features oversized windows, high ceilings and 4-inch white oak floors. Spanning over western and partial southern exposures. There is a walk-in closet in the bedroom. The seamless kitchen is outfitted with a premium appliance package and a vented cooktop hood. And the bathroom is a superior mix of Grohe fixtures and Carrara marble. In addition, a Bosch washer/dryer is in the unit. 550 Vanderbilt is a brand new luxury residential building located in Prospect Heights minutes away from Fulton Street, Brooklyn Public Library, Grand Army Plaza and Prospect Park. The building is located on the east side of the Barclays Center. Transportation is easily accessible with the 2, 3, 4, 5, A, C, B, D, G, N, Q, and R trains nearby.